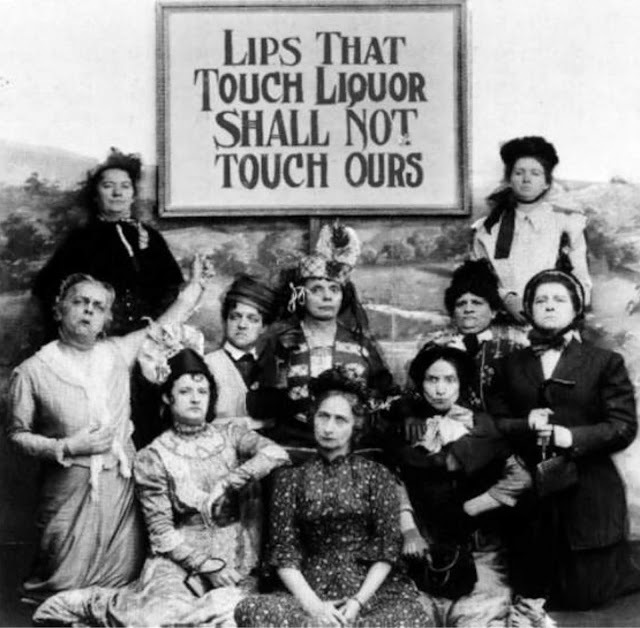 The reason why the women are holding this sign for this picture is because they did not want a man that would drink because in most cases the women and children would be beaten, and the men would spend all of their money on the alcohol. 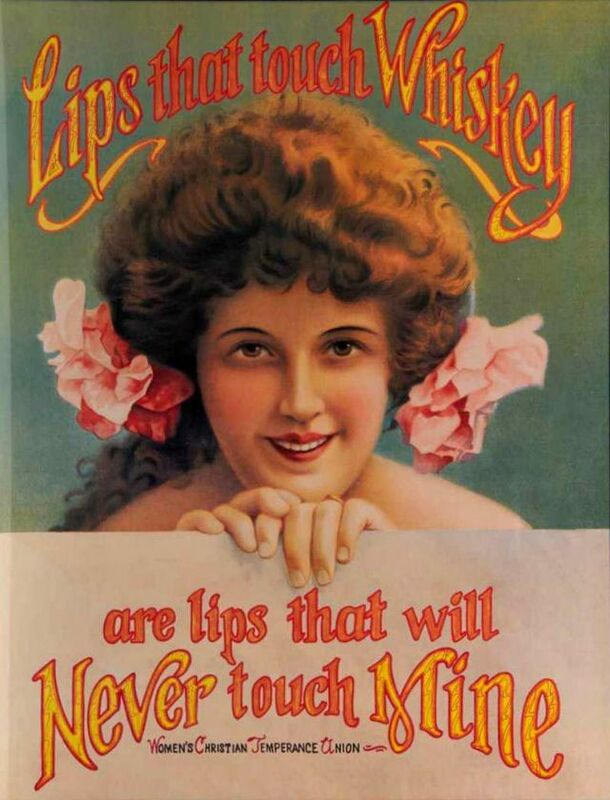 This is a terrible issue of the time and it needed to be fixed, so women got together and protested and made sure that men knew their stance on the subject of alcohol. No station too high for his vengeance to spare. 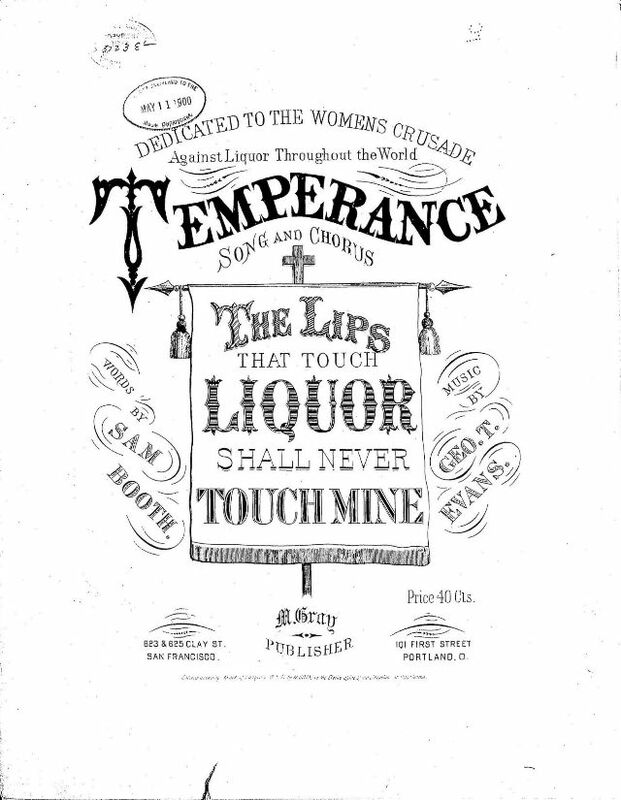 “The lips that touch liquor shall never touch mine.” The last line of an anonymous poem from the Women’s Christian Temperance Union (WCTU) became a popular mantra in the efforts by prohibitionists to stop all sales of alcoholic beverages in the United States: It seemingly was a threat by young women to their young men to stay away from the booze or skip the kissing routine. 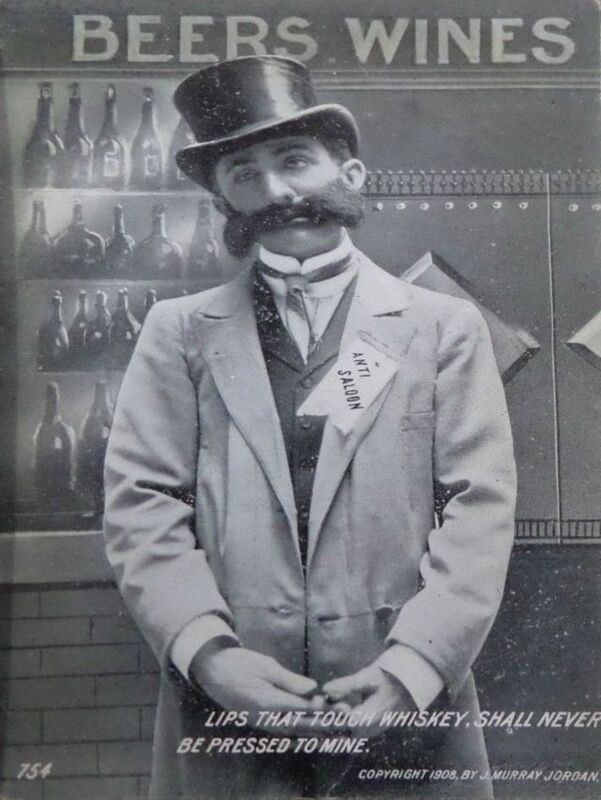 According to BOTTLES, BOOZE, AND BACK STORIES, the origins are said to go back at least to March 1873 and perhaps as early as early as 1869. 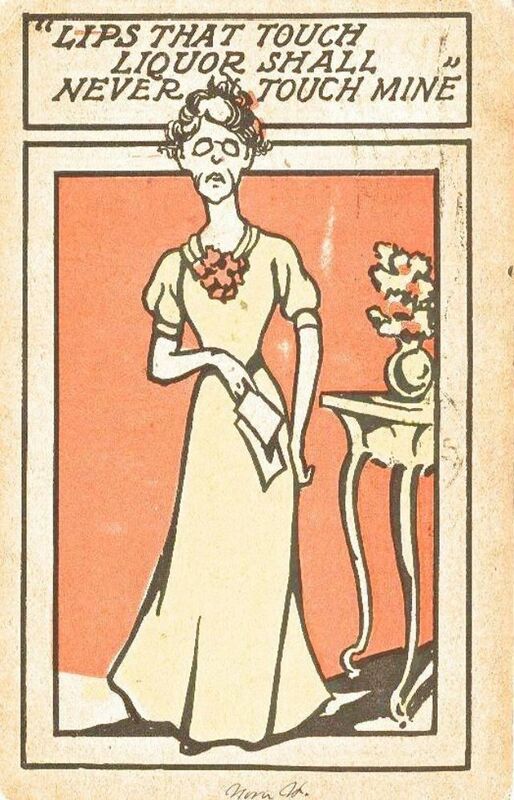 The mantra of the “drys” has been cited in newspaper articles, magazines and books; depicted on placards, signs, and needle point; and repeated in poems and songs. 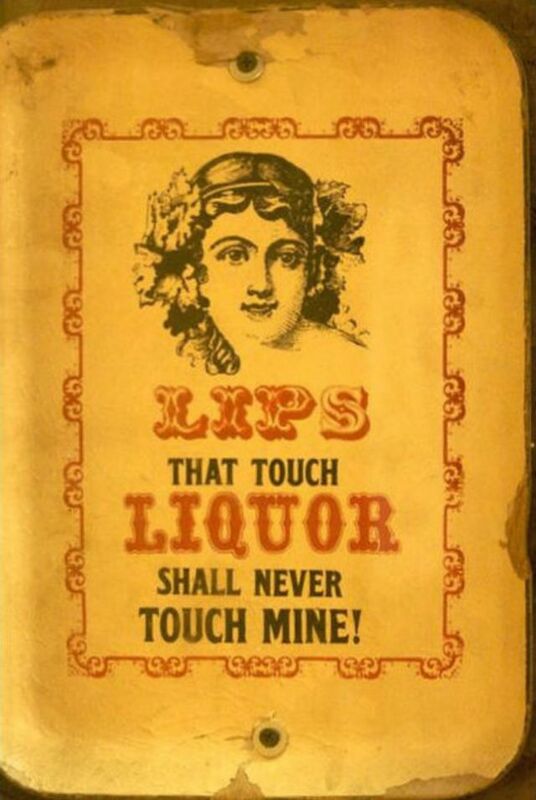 “Lips that touch liquor…” has reached iconic stature and as such has attracted more than its share of parodies. Featured here are a few of its manifestations. 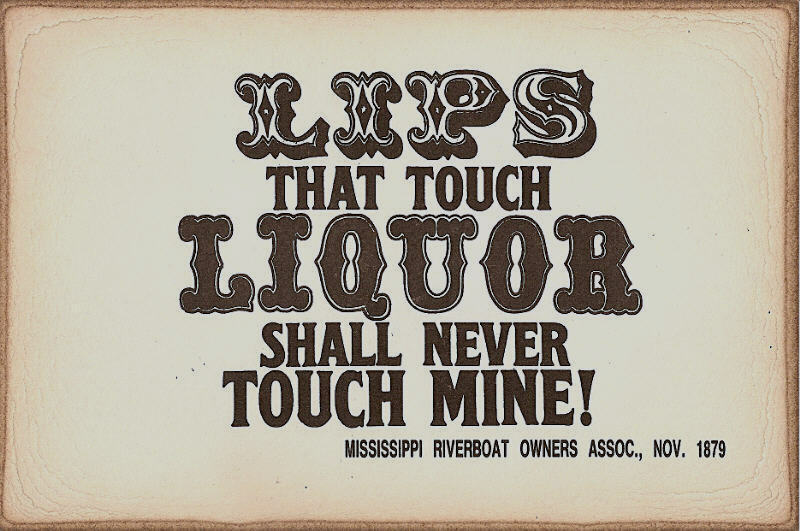 The Mississippi Riverboat Owners Assn. obviously thought a “Lips” sign would be found hilarious among their patrons. 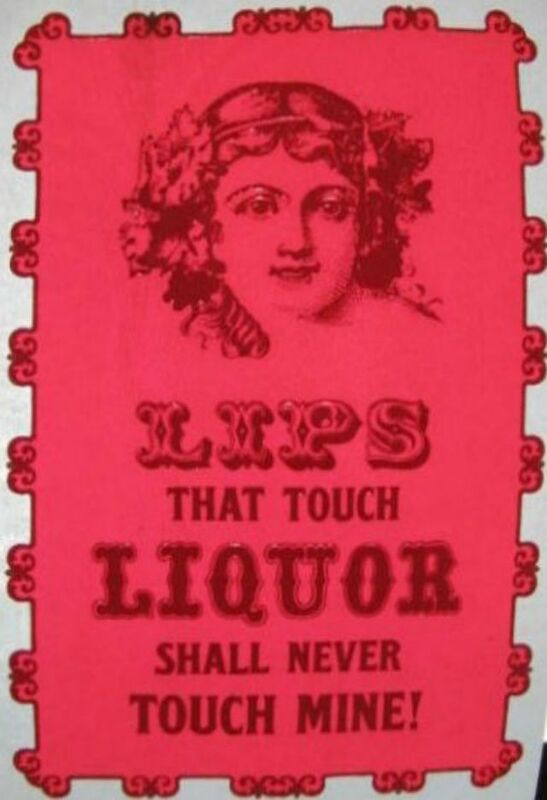 Rightly so since it would have been a rare riverboat that did not sell or serve alcohol aboard the craft, along with other pleasures like gambling and prostitution, neither of which the WCTU would have approved.